"Already PRE ASSEMBLED- PRE BUILT for you, FAST One night finish for the layout !!" 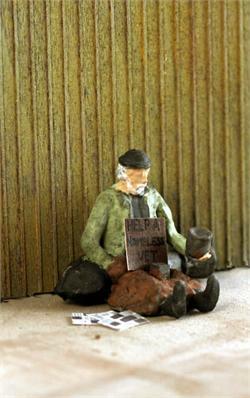 You see these everywhere !! 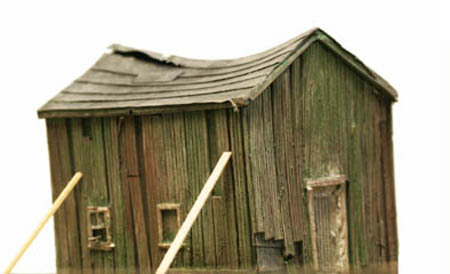 A classic detail of Railyards, trackside, roadside, in a field and even in the backwoods....this leaning, sagging, falling down shed adds a unique touch to your scenes !! Already Pre Assembled, Pre Detailed for you too, ready to add your own color scheme ! 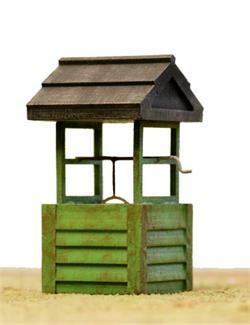 O Scale WATER WELL, Perfect in a field or Building side ! Water Well....Timeless scale detailing....this is a one night fast finish kit that is all in pre cast and pre cut sections for a fast and fun finish....even includes the water bucket / pail......really neat scene detail !